P. grandiflora var. grandiflora with receptacle brats green and rarely curved and a pink flowers it is native to eastern Brazil but widely cultivated in the tropical Americas. P. grandiflora var. 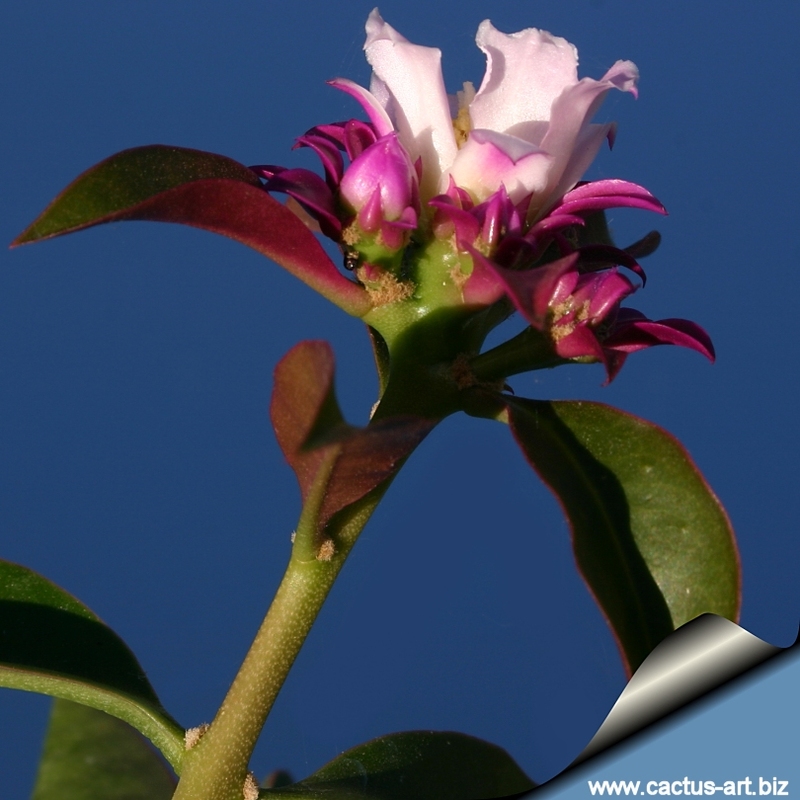 violacea with purplish-pink or purple bracts and flowers. It was discovered sometime before 1972, initially described as P. bahiensis, but is only distinguished from var. grandifolia by colour. It is apparently native to Espirito Santo and Minas Gerais. Often used for edges it is planted by pushing cutting into the ground, its spiny stem soon forming a capital barrier. Fruit are sometime eaten. The leaves are used in green salads, or can be cooked. Cultivation: Nearly indestructible. The plant requires full sun or light shade (but withstand dense shade) and well drained soils, preferably rich neutral organic soils, but may tolerate acidic ones. Drought resistant, regular water during the growing season for better growth, leaves drop during drought. Semi hardy to -3°C. Deciduous below 4°C. Origin: Brasil, but widely planted and sub-spontaneous throughout west Indies and in many tropical regions. 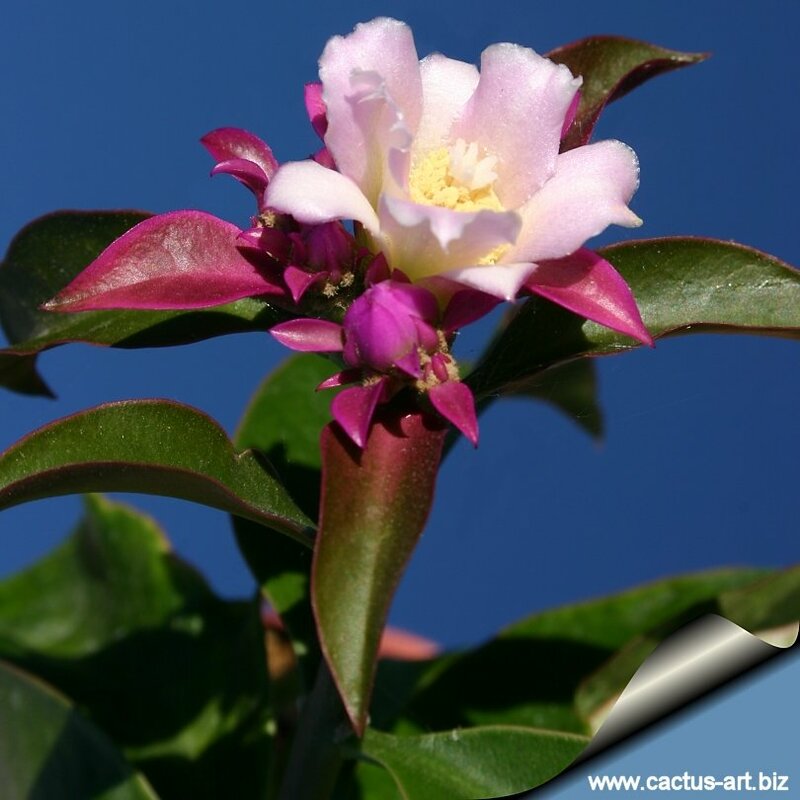 Common English Names include: Rose cactus. But if you are looking for something distinctive to tell them apart, look no further. 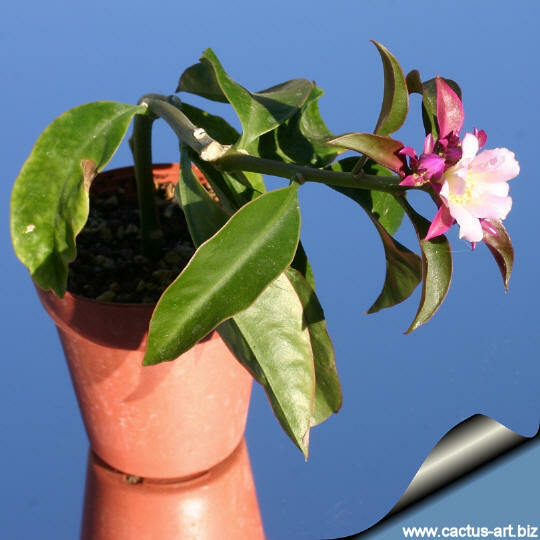 It is its flowers, and flowering pattern that separates this plant from the other cacti, making it a nice addition to any collection.